Dealing with the loss of a loved one is never easy. And there will come a time when you might be the one that has to clean out their home. You will have to make a lot of decisions on whether their belongings are trash or treasure. To help you through this difficult time, we have some tips on how to tackle a house after a relative passes away. Cleaning out a house is a huge job. Don’t be afraid to ask other family members and friends for some help. You shouldn’t have to do this alone. Divvy up rooms and responsibilities. Assign tasks such as sorting documents and cleaning out specific rooms. The process will go by faster and be less stressful. Before you even think about throwing anything away, set aside all of the financial documents that are still in the house. Homeowner’s policy. It’s smart to keep the homeowner’s policy effective until the day the home sells. Shred all necessary documents, especially ones with a Social Security number. Hiring a professional is the best way to value any jewelry, antiques or furniture. Unfortunately, it will cost you an hourly fee which depends on your location and the type of appraisal you want. When you hire an appraiser they will be able to advise you on the best options for the dissolution of the property; whether it’s an auction, consignment or estate sale. This will probably be the most emotional task. The process will go smoothly if you make three different categories for the belongings. If family members are disagreeing on the distribution, make a separate pile and go back to it once you’re done separating all the various items. Also keep in mind how much room you have in your home for the things you’re going to keep. Just because your mom has a number of antique plates, doesn’t mean you have to keep all of them. 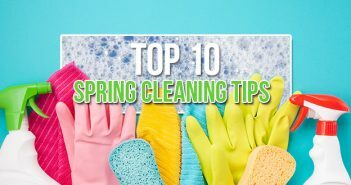 Don’t feel like you have to clean out the house in one day. Take a break throughout the day when you’re starting to feel overwhelmed. Things that took a lifetime to gather, can’t be packed up in one day. As you are slowly clearing materials out of the house, you may realize the piles are turning into a bigger mess. Consider renting a dumpster to help you with disposing of materials. A roll off dumpster can fit perfectly in your driveway and you can rent one for at least 10 days. 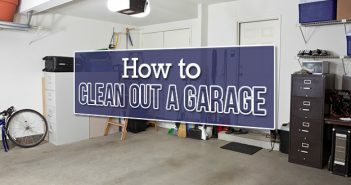 A roll off dumpster can also be helpful if you are preparing to sell the house. If you plan to do some remodeling, a dumpster is the best waste removal source.